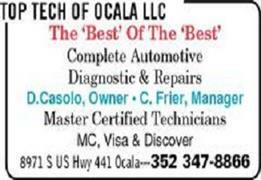 Top Tech Of Ocala is family owned and operated and we use the latest diagnostic equipment to guarantee your vehicle is serviced correctly while maintaining your manufacturer's warranty. We only use quality replacement parts, and our technicians are ASE-certified. 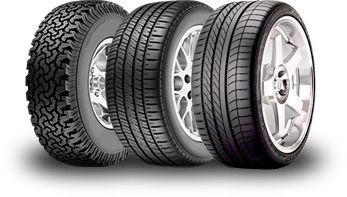 Call us at (352) 347-8866 to schedule an appointment.